Pepsi pretty much nailed the 1893 Cola, from the taste all the way to the design. 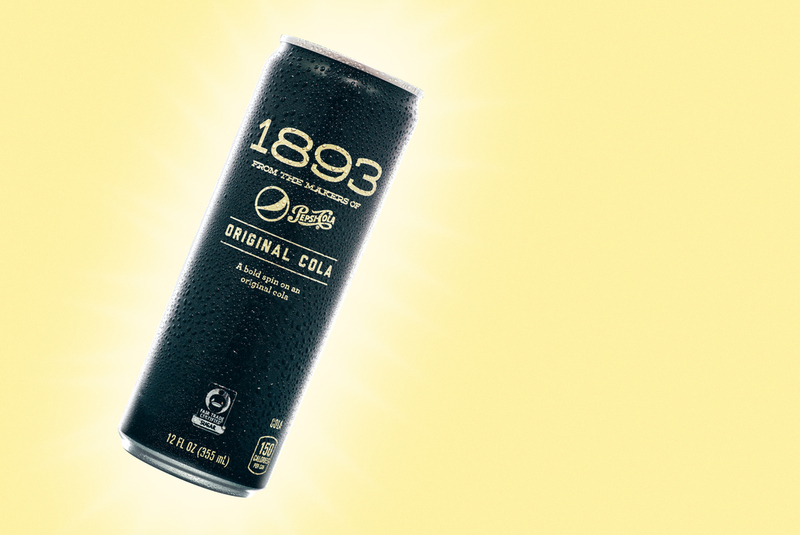 Here is my 15 minute shoot and edit of two Pepsi 1893 Cola cans! I started doing 15 minute shoot and edits about a year ago, as a way to hone my product photography and editing skills. As you can imagine, some 15 minute challenges haven't turned out too hot, while others have turned out phenomenally. I find that pushing your self to problem solve as an exercise, helps alleviate a lot of stress when you have to problem solve on jobs. The 15 minute challenge helps me find holes in my lighting, composition and editing strategies, allowing me to continually craft my art style. My Pepsi 1983 shoot consisted of two 15 minute shoot and edits, one for the "Cola" and one for the "Ginger Cola". Each can was shot on black foam core, with a black foam core flag behind it, two bounce cards on either side, one rear studio strobe shot through a soft box, and a front light. This is a shooting style that I'm quite fond of, so I didn't have much trouble getting the shots to stick, giving me quite a bit of time to color-work and clean up the images in post. When it came to edits, both cans were cut out, a background was created to reflect the bright gold of the can designs, and the cans received a quick clean-up. I ended with enough time that between the two cola image edits, I was able to put together a pack shot as well. In the coming months I will be putting together a number of 15 Minute Challenges, giving insight into the shoots, edits and other BTS goodies.